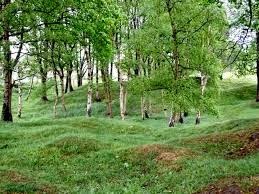 If you are thinking about a summer road-trip throught Belgium J, here are some remarkable sites linked with the I World War in the surroundings of Yprès (Ieper), one of the most punished cities during that war. Since then, the bodies of some 205 soldiers of three different nationalities have been recovered. The city acquired a small plot of land, for the creation of a memorial site. This plot marks the location of ‘Yorkshire Trench' originally dug by the British in 1915. 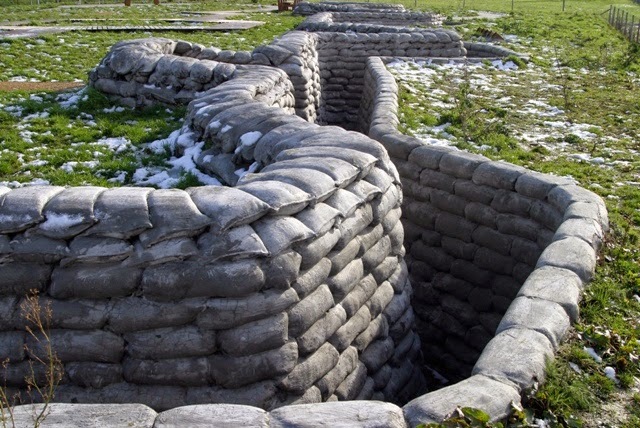 In July 1915 the Royal Engineers of the British Army tunnelled beneath the German trenches and destroyed them with nearly two tonnes of high explosive. The explosion, the largest in history to that time, created the famous high mine hole which itself became the focus of bitter fighting for the next three years and has been preserved on the site to this day. Wartime records showed a number of trenches in the vicinity of this mine hole and in 1995 one of these trenches was located and excavated. An astounding number of wartime relics were discovered and have now been carefully displayed together with photographs showing Hooghe during the war. Also at Front Line Hooghe are some concrete bunkers, one of which is now possible to enter and explore. 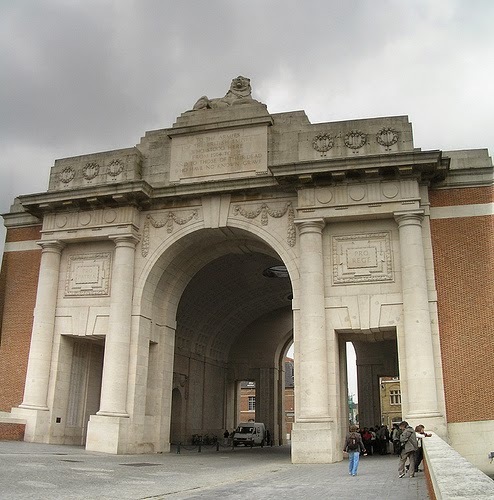 One of the essential places to be visited in this city is the Memorial of the Menin Gate, which was built between 1923 and 1927 as a memorial to British soldiers who died in the Great War: on the walls of the monument are written the names of 54,896 British soldiers. Each night, traffic on the door interrupted and the Fire Department represents here Ypres what is called The Last Post, at 20.00, as a tribute to the fallen soldiers. 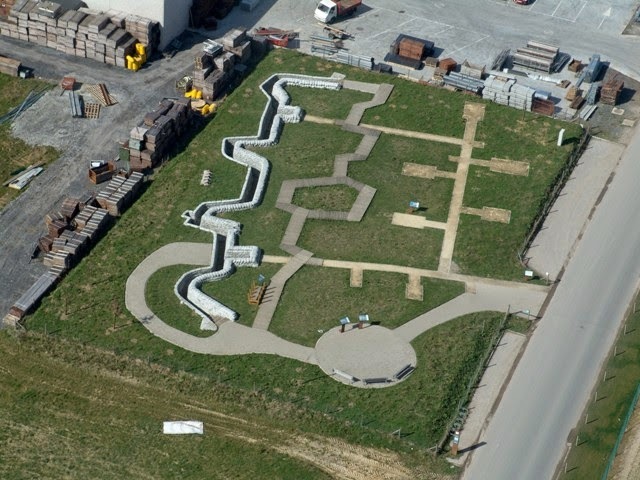 The land where the memorial sits was donated by the government of Belgium to the British Empire, but recently has been handed back to Ypres. This hill was created by the earth excavated from the adjacent railway cutting. In 1914 it was captured by the Germans from the French. Later, this sector was taken over by the British, who began an underground warof mines and counter-mines. The first British ‘deep' mine was exploded on 17 February 1915. Following a second detonation on 17 April 1915, the British were able to temporarily seize the hill, but it was soon lost. The underground war continued until the beginning of June 1917 (Third Battle of Ypres). Countless soldiers worked in the cold and the dark of the mine tunnels. Some of them died there and are still buried beneath the clay. In this sense, Hill 60 is a cemetery. One of the most famous people in the area is John McCrae, a Canadian born in Ontario in 1871, who graduated in medicine in Toronto in 1898. At the outbreak of the IWW, enlisted and was sent to the Canadian artillery campaign. He was at Essex Farm and in May 1915 wrote the famous poem "In FlandersFields" after one of his friends was killed and buried surrounded by poppies. The English cemetery includes 1199 graves of soldiers from across the Commonwealth. In front of the cementery, we can visit the "French shelters". They were built in the eighteenth century by the French military engineer Vauban, as reinforcement along the canal that for years served as French border. During the IWW were used as shelter and warehouses and after the Armistice, many served as temporary refugees trying to return to their homes and property were destroyed.